Time to revive the company book club! 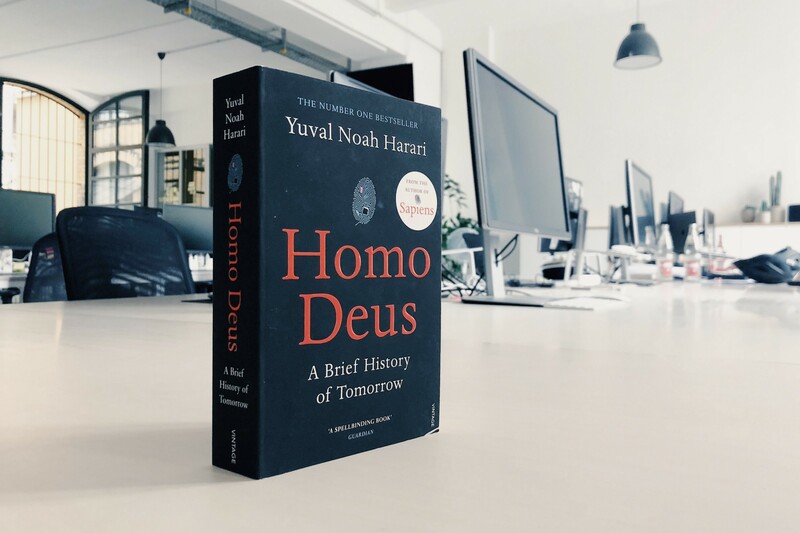 When we read “Sapiens — a brief history of humankind” by Yuval Noah Harari earlier this year, we decided we’d read the successor “Homo Deus — a brief history of tomorrow” next. Then everyone went on holidays, we decided to mix things up with a novel and ended up taking a longer break than expected. We meet on Tuesday, November 13th, 6:45pm in our office at Oranienstraße 6, 10997 Berlin. diesdas.digital is a studio for strategy, design and code in Berlin, featuring a multidisciplinary team of designers, developers and strategists. We create tailor-made digital solutions with an agile mindset and a smile on our faces. Let’s work together!